Thailand is one of the most popular countries when foreigners and expats look for overseas properties in Asia. With millions of tourist arrivals a year, it’s also one of my top choices. Thailand has a number of choices to choose between, with everything from Chiang Mai, a cultural center listed as a UNESCO heritage, to the bustling nightlife in Bangkok, and white beaches in Phuket. In this article, I list the 6 best places to buy real estate in Thailand. Bangkok is one of the most developed cities and the commercial center in Thailand, making it a top destination for foreign property buyers. Statistics show that around 3 million foreigners live in Thailand, where the biggest part stays in Bangkok. 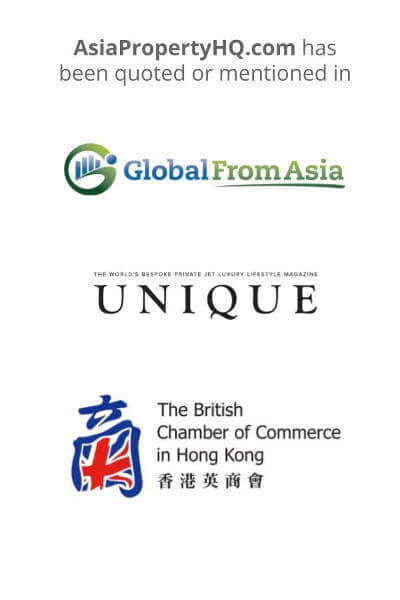 China has the fourth biggest and fastest growing community of expats, followed by the UK and Japan. There’s increasingly more wealthy Chinese who buy a second home in Bangkok, to visit during vacations or for investments. Compared to other neighboring cities in the region, like Singapore and Hong Kong, Bangkok is more affordable for expats with easy access to cheap accommodation. City of tourists or city of expats? Bangkok is going through an interesting transformation. A couple of decades ago, it emerged as a tourist hub, but now, it’s turning into one of the favorite cities to settle in. According to the French Embassy, the number of French expats arriving in Thailand increases by more than 10% yearly. Having that said, it’s still the most visited city in the world, with more than 20 million arrivals a year. In 2016 and 2017, the city ranked as the world’s top tourist destination. According to a survey done by HSBC, Thailand has most accessibility and affordability among 46 countries analyzed. Most expats live near the BTS stations where prices are higher, as well as near the Subway (MRT) stations. Bangkok is famous for having high-end health care options, top schools (there are over 130 international schools in Bangkok), and a wide range of luxury condominium projects. Most of these condominiums have swimming pools, gyms, and other amenities. Bangkok is the capital with a population of 8.2 million. It experienced a high population increase, despite the fact that Thailand’s population growth rate is among the lowest in Asia. This keeps the property demand higher, impacting prices as well. 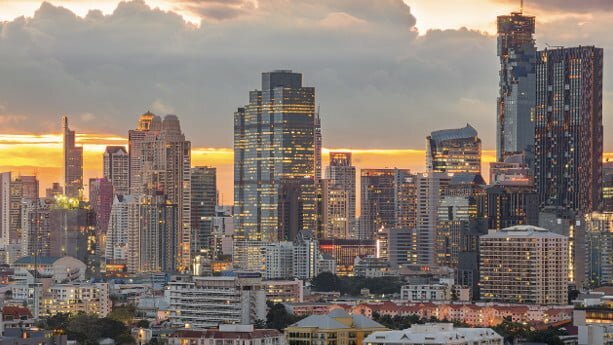 Where should I buy property in Bangkok? Let’s have a look at some of the most interesting areas to buy property in Bangkok. Sukhumvit road is the most popular area among expats, mainly thanks to the Skytrain (BTS) stations. Many say that Sukhumvit road makes up the core of Bangkok’s city center, here you’ll find everything from high-end hotels, bars, restaurants and a thriving expat community. Nana is a BTS station and an area located just beside Asoke, which has the main station. You have easy access to both the BTS and MRT from here. Property prices are almost the same as in Asoke, which is the most expensive area in Bangkok. The area has many condo buildings, shopping malls, restaurants, bars and is sought after among foreigners. Asoke is a commercial area with the main BTS station, called Asoke, on Sukhumvit Road. Being a conjunction point, with close access to many amenities, you’ll see that property is high in demand. Bangkok is rated as one of the worst places to drive, this is why most people tend to buy or rent homes close to BTS stations, to avoid congestions. The price of one bedroom condo is around USD 100,000, which makes it one of the most expensive areas in the city. Phrom Phong is a neighboring area of Asoke, with walking distance from the Asoke BTS station. There are several restaurants and shopping malls here, including Emporium which is a popular place among foreigners and locals alike. Prices here are also high and you can buy a one bedroom condo for around USD 80,000-100,000. Thong Lo is popular among expats, with a big Japanese community living in the area. Due to high occupancy rates and proximity to the Thong Lo BTS station, prices here are comparatively high. You can find one bedroom condos for around USD 100,000. Ekkamai is an area located further away, but still with proximity to the above mentioned areas. Ekkamai has a BTS station with the same name, you’ll find many condo projects and new constructions here. This area hosts many foreigners and has a significant expat community. The price of a one-bedroom condo is around USD 60,000-80,000. Phra Khanong is an outskirt area, but still fairly central. You’ll reach Asoke by foot, but taking the BTS is a preferred choice. As the central areas become more expensive, many foreign buyers find Phra Khanong increasingly interesting. Prices in Phra Khanong are are lower than that of Asoke and Thong Lo, if I were you, I would definitely not ignore this place. I’ve personally lived in On Nut and find it very convenient. On Nut station is located in the city outskirts next to Phra Khanong, with a lot of newly constructed condo projects. The vacancy rate is comparatively low, resulting in lower yields compared to the more central areas. Sathorn is one of the biggest commercial districts with office buildings, skyscrapers and high-end condos. This is a charming area with restaurants, nightclubs, jazz bars and more. Sathorn hosts many banks and is famous for attracting many foreigners. Prices here are high. This developing area is located in the outskirts, but if you want to live near the downtown or BTS stations, it’s not really for you. Prices here are more affordable compared to the city center. 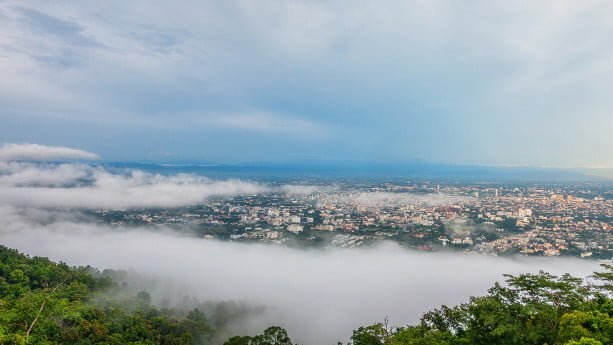 Chiang Mai is one of the biggest cities and grows at the same speed as Bangkok. It’s the capital city of Chiang Mai Province, and known as the cultural center of Thailand. The city is included in the UNESCO World Heritage inscription list, you’ll find hundreds of temples and many outdoor activities. Chiang Mai is developed with national standards and at par with Bangkok when it comes to modern infrastructure. In 2017, it was also awarded the UNESCO title of Creative City. According to recent estimates, around one million people live in the city with a significant expat community. In 2017, the Thai government decided to invest a huge amount to transform the city into an innovation-driven “smart city”. Due to better planning and less population, the city is less congested compared to Bangkok. The city has experienced a surge in tourism, with an annual increase of around 15%. More than 15 million tourists visit Chiang Mai every year, with Chinese making a bulk of foreign visitors. The prices in Chiang Mai are affordable compared to Bangkok and many other popular cities. However, the price growth is higher compared to Bangkok and other cities, making it one of the best options to invest in real estate. Prices are expected to rise further as a high-speed rail-line project, connecting Chiang Mai with China and Bangkok, is under construction. 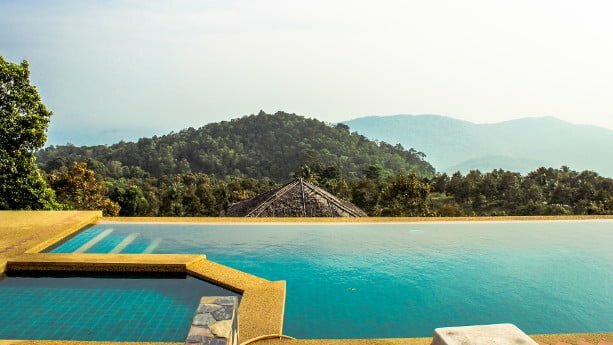 Where should I buy property in Chiang Mai? Let’s have a look at some of the most interesting areas to buy property in Chiang Mai. This area is popular among expats and foreigners, resulting in higher property prices. You’ll find many restaurants, shopping malls, and other amenities, making it a popular area to live. Prices are around THB 1 million (USD 30,000) for a one bedroom condo. This means prices in the city center are more than half as expensive compared to the central areas of Bangkok. Chiang Mai is situated right beside Ping River, with many areas located at the bank of the river. These areas are less noisy, congested and offer better views. Not surprisingly, property is a bit more expensive. One bedroom condo in the riverside areas can cost you around THB 1,250,000 (USD 40,000). Phuket is one of the most popular tourist destinations and a small Southern province consisting of a big island, called Phuket island. You’ll also find 32 smaller islands surrounding it. It’s known for its beautiful beaches and beachside resorts. Phuket experienced a tourism boom and a high price growth the last decade, but suffered much during the 2008 economic crisis. Prior to that, it was one of the worst affected areas by the Tsunami in 2004, destroying much infrastructure. After the economy recovered, Phuket has seen increasingly higher real estate prices, making it a good option to buy property. It’s visited by more than 10 million tourists every year, with China being the biggest contributor. Prices have also increased, especially in the Northern areas, since the expansion of Phuket’s International Airport. Where should I buy property in Phuket? Below I’ve included some interesting areas in Phuket. 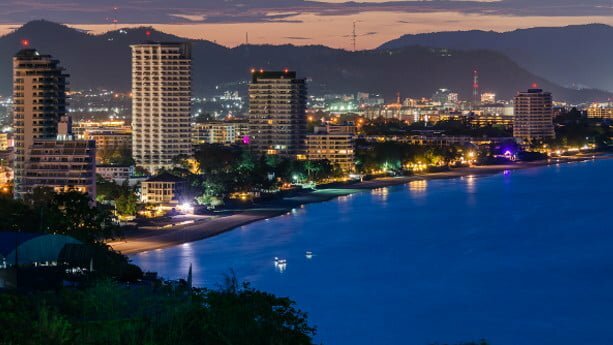 Known as the party capital of Asia, Patong is famous for its vibrant nightlife and beaches. It’s one of the main tourist destinations in Phuket, and with the highest number of foreigners living here. Prices here are high, with one bedroom condos available for around THB 2,500,000 (USD 76,500). Kata and Karon beaches are located in the Southwestern parts of Phuket. These beaches are highly popular among foreign tourists. You can find many high-end condos and resorts here. Mueang is the provisional capital, situated in the Southern parts of the island. Phuket town, a trendy area among expats, is located here. Prices are fairly high and you can find a one bedroom condo for around THB 2 million. Thalang is big in terms of land area, with a lot of recently developed condo projects. Prices are fairly high, mainly due to its tourist attractions and for having the Island’s main airport. Bang Tao Beach is a popular tourist destination with hundreds of high-end resorts, villas, and condo-projects. The 6 kilometer long beach has developed fast, with a high demand for real estate. Surin is a popular tourist destination, known for its high-end luxury resorts. Due to an ever increasing expat community, and a rising number of tourists, real estate prices are rising. The average square meter price of a condo in the city is 57,000 THB (USD 1,750). That’s less than half the price of a condo in Bangkok. Koh Samui is a popular tourist destination in Thailand, mainly due to its beaches and relaxed environment. Same as Phuket, Koh Samui is an island, located on the East coast. One main difference is that Phuket is connected to the mainland by a bridge, while Samui is only accessible by air or sea, keeping it less crowded. The population is just around 65,000 people, but it receives over 2.5 million tourists every year. There’re many foreigners who decide to relocate here after retirement. 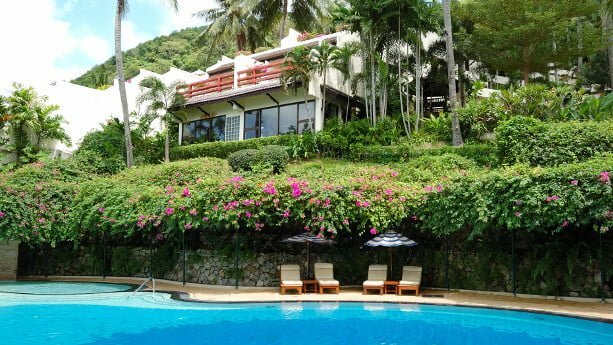 There was a slump in Koh Samui property prices the past years, mainly due to inflated prices and a devaluation of the Thai Baht. However, with an ever increasing number of tourists and investors, property prices are expected to rise. Koh Samui real estate is often in the form of luxury villas. Where should I buy property in Koh Samui? Let’s have a look at some of the most interesting areas to buy property in Koh Samui. This is the most popular area among expats and tourists, thanks to accessibility. Prices are higher here compared to other areas in Samui. This area is developing fast, with several new condo projects in line. Prices are comparatively lower compared to the North Eastern area. This is the least crowded part of the island. The West coast is promising with more affordable prices. Hua Hin is a small seaside town located in the southern Thai province of Prachuap Khiri Khan. It was once a quiet fishing village, but has become one of the main tourist destinations among wealthy Thai nationals and foreigners living in Bangkok. The population is merely 63,000, but Hua Hin hosts thousands of weekend tourists, mainly from Bangkok, thanks to its proximity (around 200 km). The property market grows as many local residents from Bangkok buy properties as second homes. Where should I buy property in Hua Hin? Let’s have a look at some of the most interesting areas to buy property in Hua Hin. Hua Hin is the most populated area in the district, with more than 50,000 people residing in Hua Hin town. This area has witnessed a significant increase in the property prices during the last years. Cha Am is closer to Bangkok, but less populated compared to Hua Hin. The area is developing fast with several new projects and rising property prices. However, prices are still much lower compared to Hua Hin. Khao Takiab is one of the least crowded areas in the district, with the most affordable property prices. Soi 112 is a less crowded part of the Hua Hin district, but gets increasingly popular. Property prices are still comparatively low. Pattaya offers all the amenities you can find in Bangkok, but life here is more relaxed. People who want to be closer to the beach, but still living in a ‘city’, might find Pattaya more suitable than Bangkok. Pattaya is known for its beaches and high-end resorts and villas. The number of tourists, as well as expats settling here, is on the rise. Pattaya is also the second most visited city in Thailand, after Bangkok, and ranks among Asia’s biggest beach resorts. With the completion of a high-speed rail, taking you from Bangkok and Pattaya in 30 minutes, makes Pattaya increasingly interesting. Other projects include the government investment of USD 45 billion in the Eastern Economic Corridor, that will improve infrastructure and accessibility even further. 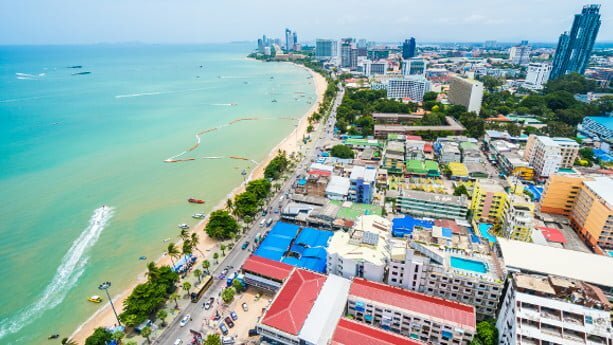 In addition to the rail system, a bigger airport, and a new cruise terminal, Pattaya invests heavily in new tourists attractions like water parks, theaters, and cultural markets. 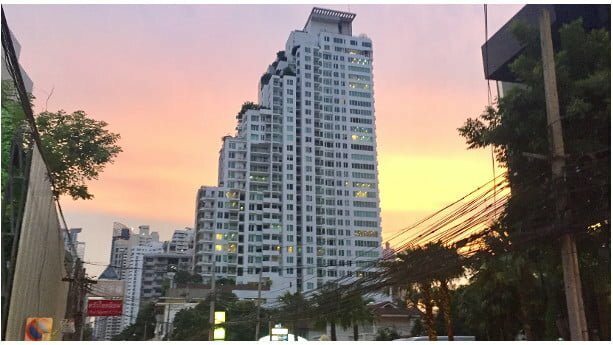 Where should I buy property in Pattaya? Let’s have a look at some of the most interesting areas to buy property in Pattaya. Central Pattaya is the center of the city, the main business hub, and the downtown area. Prices here are comparatively high. If you want to move away from the busy city life, you should have a look at Pratumnak. Prices here are at par with Central Pattaya. Jomtien & Najomtien are the main beaches in Pattaya. You can find many newly developed condos here, built to serve a rising demand. Prices are slightly cheaper compared to Central Pattaya. You can find mostly villas and houses in East Pattaya, with prices lower than other areas. The area is known for its golf courses. As the city expands, remote and quieter areas like Baan Amphur and Bangsaray have become centers for new development. You’ll find quiet beaches and a beautiful nature here.